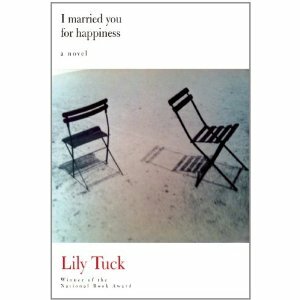 I Married You for Happiness by Lily Tuck. Publisher: Grove Press (September 2012). Literary fiction. Paperback. 224 pages. ISBN: 978-0802145918. My first novel by Lily Tuck and certainly won’t be my last. Her simple elegant writing style carried me from page to page with crisp sentences and dense descriptions. It’s a lovely portrait of a relationship between an artist and a mathematician. Opposites attracted and connected by disparate characteristics. Making it work despite what might seem contrary. Both attracted to culture. To France. Spent every summer there. Nina sits by Philip’s dead body and reflects on the nuances and details of their four decades-long marriage. She wonders if he truly loved her. If he absolutely loved her. If he was always faithful to her. She tries to remember the best moments during their decades together. It’s a lovely novel that flips back and forth through time. This entry was posted on October 9, 2012, 16:16 and is filed under Books. You can follow any responses to this entry through RSS 2.0. Both comments and pings are currently closed.